The Children’s Core Collection database is the ideal collection development, readers’ advisory and curriculum support resource for educators and librarians working with elementary students. It covers more than 50,000 fiction and nonfiction works recommended for readers in preschool through grade five. The Fiction Core Collection database includes more than 20,000 librarian-recommended titles for a general adult audience. Highlighting the most popular and widely-read classic and contemporary works of fiction, the database covers many genres including mystery, science fiction, fantasy, Western and romance. The Senior High Core Collection database highlights more than 30,000 fiction and nonfiction titles for students in grades 9 through 12. Covering young adult literature and adult novels with teen appeal, it is an ideal resource for high school libraries and the YA section of public libraries. Core Collections — formerly H.W. Wilson’s Standard Catalogs — are impartial, authoritative guides that help librarians build and maintain well-rounded collections of the most highly recommended reference, nonfiction and fiction books. With documented selection criteria and an unparalleled level of credibility, Core Collections help librarians do their jobs better, faster and with more confidence. Each Core Collections product provides complete bibliographic data including price, subject headings, professional aids for librarians and school media specialists, indicators for starred reviews, awards and industry best lists. 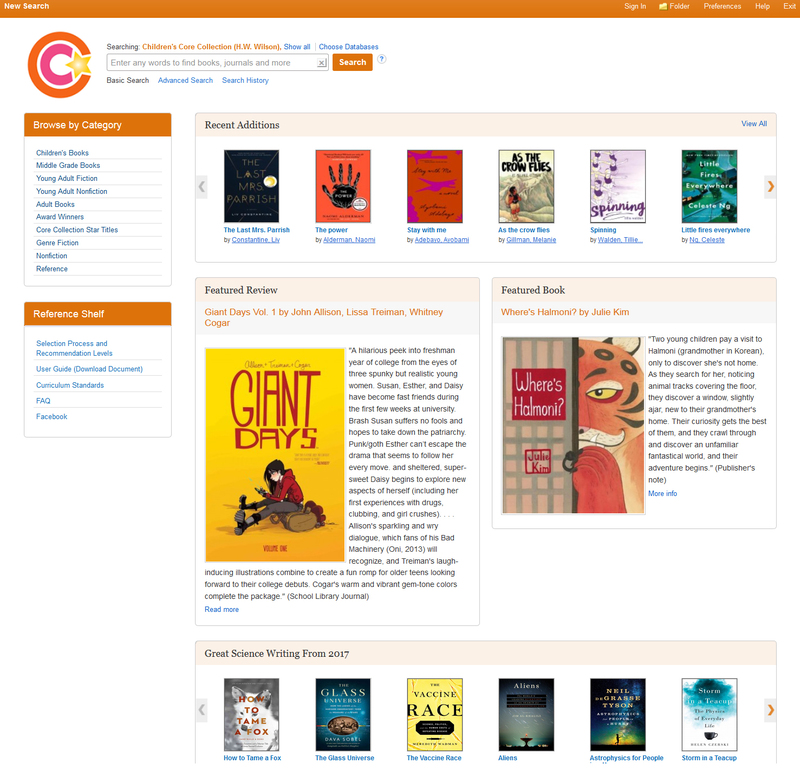 Core Collections also complement NoveList products in supporting readers’ advisory. Print versions of Core Collections are also available. Ready to learn more about Core Collections?